Welcome to the official drum lessons .net website. On this page you will find links to drum lessons designed to enlighten and challenge drummers of all skill levels. It doesn't matter if you are a complete beginner (with no sense of time at all), or a long-time pro looking for new beats and fills. These drum lessons will show you how to play the drums with more confidence! You can get started by selecting drum lessons from the list below. They are organized by difficulty, so you can easily find material that suits your needs. Beginners should definitely start in the "beginner" section, but intermediate and advanced may prefer to jump around and try a little of everything. Stay tuned as we will be adding additional online drum lessons to this page soon. New material will include additional drumming styles, and will fit into the intermediate to advanced range of difficulty. Check back soon, and don't forget to bookmark www.DrumLessons.net! We also encourage you to visit other drum-related websites. You can find details on everything from how to play drums, drumming lessons, jazz drumming, latin drumming, bass drum speed, learn to play drums, moeller technique, learn how to play drums, drum play-alongs, drum lessons and more! If you are interested in learning how to play piano (another percussive instrument) check out the beginner piano lessons on our sister site PianoLessons.com. If you want to learn how to play guitar check out these guitar lessons for beginners. They will help you get started with the basics, so you have a solid foundation for the future! 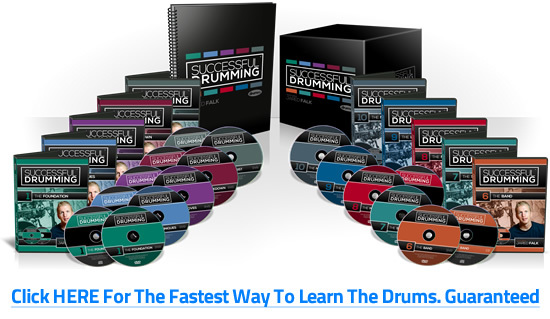 Want to get started playing drums right away?